The title of this series of articles is also the title of a book written in 1998, not by some outsider, but by an Episcopal, Anglican Bishop, John Shelby Spong. The title is self-explanatory. It would be unlikely that any other freethinking Christian would agree with absolutely everything that he says, and I have some disagreements myself. The book is nevertheless a courageous attempt to deconstruct and challenge Christianity as it has been brought down to us, and to seek to create an acceptable alternative, to reinvent it (1). 1) Spong says that he has “a constant and almost mystical awareness of the divine presence”, and describes himself as “one who swims in the infinite depths of the sea of God” and “a God-intoxicated human being” (p3). Nevertheless, he finds Christianity as it is taught deeply unsatisfactory. He could therefore be described as someone who is deeply spiritual, but not religious (he does of course call himself a Christian). This is a type of person I am interested in, and whom I want to address in a forthcoming series of articles. His own phrase for it is “a believer in exile”. 2) He wants to challenge the concept of God as understood in traditional Christianity, which is theistic, a personal being, or “an intervening, personal, supernatural presence who can invade history to make a specific difference” (p186). He wants to redefine God in nontheistic terms, to dismiss “the supernatural, external God of theism in favour of an understanding of God as the Ground of all Being, the source of life, and the source of love” (p209). His vision of divinity is therefore much closer to that of the traditions of the Perennial Philosophy, whose central claim is that at their core all religions are the same. He says that those who “grew up in a Christian worldview will need to find a way to journey through that Christian system to what lies beyond all systems” (p188). 3) An obvious consequence of that last point is that he does not claim superiority for Christianity over other religions, saying: “Nor can this Christ ever be used again to denigrate or to judge the adequacy of any of the world’s other great religious traditions” (p189). The great mythologist Joseph Campbell said, as early as 1972, that the environmental crisis might be the one thing that could unite all citizens of the world (2). He might be right, but something else which could achieve this would be a spiritual/religious perspective acceptable to all people. There is a great need for this, since planet Earth seems to be heading towards disasters of various kinds, and I would suggest that the only solutions to these problems are spirituality-based, since politicians and scientists seem incapable of getting to grips with them. Like Spong, I am also a Christian believer in exile, god-intoxicated but deeply dissatisfied with Christianity as we know it. 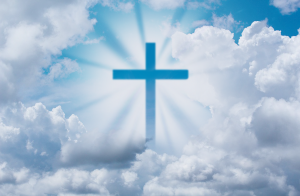 I am therefore going to attempt my own revision of Christianity, my ultimate, somewhat ambitious, aim being to try to find this new spiritual religion which would be acceptable to, and might unite everyone on the planet. This is very important at the current time because people like Richard Dawkins, and the late Christopher Hitchens can get away with writing books like The God Delusion, and God is Not Great, and seem convincing to many, thus gaining an influence which, I would argue, is not merited. 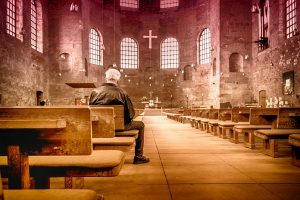 I am not, and have never been, a member of any Christian church or group, but it is possible that I stand somewhere in the Protestant tradition, and its Priesthood of All Believers, “which is to say that protestants believe that all Christians have a direct connection with God… Every protestant believer is essentially expected to read scripture directly — not simply listen to teachings from scripture, presented by priests” (3). This presumably means that they can come up with their own interpretation and therefore personal version of Christianity, what that writer calls a “Lone Ranger Christian” approach. I am calling it a new religion, but at the same time it is an old religion, derived from ancient traditions and understanding, which has been lost to a large extent since the advent of the so-called ‘Enlightenment’, and rejuvenated for modern times. in accord with the spirit and ideas of the Perennial Philosophy and, as Spong says, not in conflict with other traditions. Having outlined such a religion, we can then decide to what extent Christianity, as we know it, fits in – there will probably have to be a lot of cherry-picking. My hope is that it might be a candidate for a new Christianity. those people who think of themselves as spiritual but not religious, by showing that these are not actually different, but really the same thing. I don’t expect to appeal to dedicated atheists or devoted Christians, but if I do pick up any of those along the way, that would be just fine. Did a human being Jesus really exist? Are the New Testament gospels an accurate reflection of the life and sayings of Jesus? 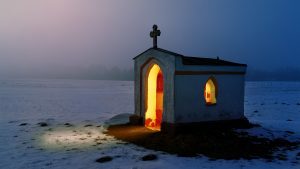 Was Jesus the “Son of God”? Did the right books get into the New Testament? Are Biblical scriptures the word of God? Was Jesus the originator of Christianity? Do we really understand Paul? An interesting question would then be, can you still be a Christian if your answer to any or all of the first six questions is ‘no’. My tentative answer is ‘yes’. I am calling this series of articles, in honour of Spong, Why Christianity Must Change or Die. There is, however, a possible alternative title, more in keeping with the Christian tradition, Why Christianity Must Die in Order to be Resurrected. 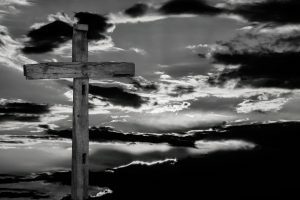 I had almost finished writing this when I came across a very interesting article by T. D. Burnette, who writes about what he calls Post-Emergence Christianity (5). He refers to a book by Phyllis Tickle, The Great Emergence in which she observes that “about every 500 years, Christianity goes through a groundbreaking paradigm shift”. The list so far is: Jesus, the collapse of the Roman Empire which forced the Church to go underground, the separation of Eastern Orthodoxy from Roman Catholicism, and the Protestant Reformation. It would seem therefore that we are due another revolution, perhaps the greatest one of all. It is reassuring to know that others are thinking along similar lines as me, and I hope that I am going to contribute in some small way. As Burnette says: “It strikes me that now is a time for uniting in our wandering, isolation, and in our plurality of expressions”. Participants were a Church of England evangelism officer, a female trainee vicar, and two rap artists, one of whom was a Christian. The discussion recognised that times change, and that there was a need for new methods. The officer conceded that there is a big problem. The trainee vicar said that the Church does not answer tough questions. She also said that many people she knows say they are on a spiritual journey, but do not necessarily relate to any religion. They are therefore believers in something, but this seems to be undefined. As Spong says, changes are happening: “The world is taking part in a spiritual quest, but many citizens of this century no longer believe that the Church is an asset to their quest” (p188). The second rapper talked about the freedom to be individual, exploring for yourself, choosing what resonates with you, picking from different books, essentially saying that everyone has the right to create their own religion. All of this resonates with what I am saying. We need to address the big problems of Christianity. We need to find answers to tough questions. 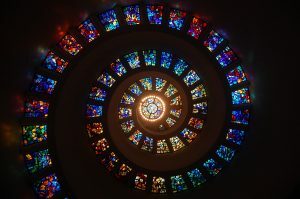 It would be helpful to reconnect spirituality with religion, so that people on a spiritual journey can find meaning in and a connection with Christianity, even if they do not currently think of themselves as Christians. If this means rejecting the teachings of the Church, and each individual finding their own solution, so be it. (2) The precise quote is: “The concept of the state, moreover, is yielding rapidly at this hour to the concept of the ecumene, i.e., the whole inhabited earth; and if nothing else unites us, the ecological crisis will” (Myths to Live By, Viking Press, 1972, my edition, Souvenir Press, 1973, p265). He is therefore clearly thinking of the movement of humanity towards being part of the superorganism of the Earth, a theme of my previous articles. (4) As Spong says, the new religion “will dedicate itself to the search for truth, universal truth, rather than expending its energies in seeking to defend its narrow version of truth” (p187).